After ensuring all our customers got their attention and needs in order we headed to our Trip in the north of Israel. 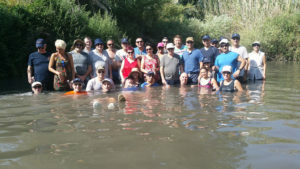 We traveled all the way to raft on the Jordan river, splashing our colleagues, paddling and enjoying the amazing landscape that surrounded us doing so. At a beautiful Hotel, enjoyed an amazing diner and hurried up to a goodbye surprise party circling a fire camp on the banks of the Jordan river to our dear CEO Michal, we all wish you all the luck in your new role as a CEO at contel. After an emotional night we woke up to the breath taking Golan Heights view, one of a time experience we boarded a hot air Balloon 120 meters above the ground. We didn’t spend much time and headed to Nahal Ayun nature reserve in the Galilee Panhandle. At the end of our hike we had a stop for fruits of the session, beers and some picture taking. Next stop was a water hike in one of the three main tributaries of the Jordan River where we had a social formation activities. 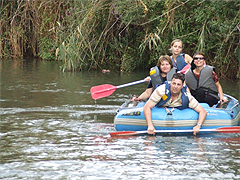 Meitav-tec’s employees have enjoyed a corporate fun day nearby the Sea of Galilee in north east Israel. Starting with breakfast at a herb-farm restaurant at Mount Gilboa overlooking the panoramic view of the Jezreel Valley, Nazareth, Tabor & Carmel mountains. 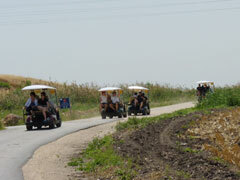 Continue with off road riding dusty ranger cars at the hot Jordan park & Kela spring. Refreshing by walking 1 kilometer in water at the Dalyot river estuary (Majeressa). Early dinner at a meat restaurant by kibutz Ashdot Yaakov. Finalizing with an archeological tour of the floor mosaics, theatre, white marble pillars, ancient streets and a majestic audio visual show at the ancient Roman-Byzantine city of Beit She’an (Skitopolis)! Meitav-tec celebrated its 10th birthday with all the employees traveling for a trip to the Dead Sea and the Judean Desert area. 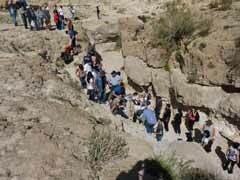 The trip included a peaceful breakfast in the mountains around Jerusalem, a hiking in an oasis on the shore of the dead sea, safari trucks journey in the Judean desert viewing the dead sea, relaxing time and mud body cover in the dead sea and a biblical style dinner. It was a long day and great fun. 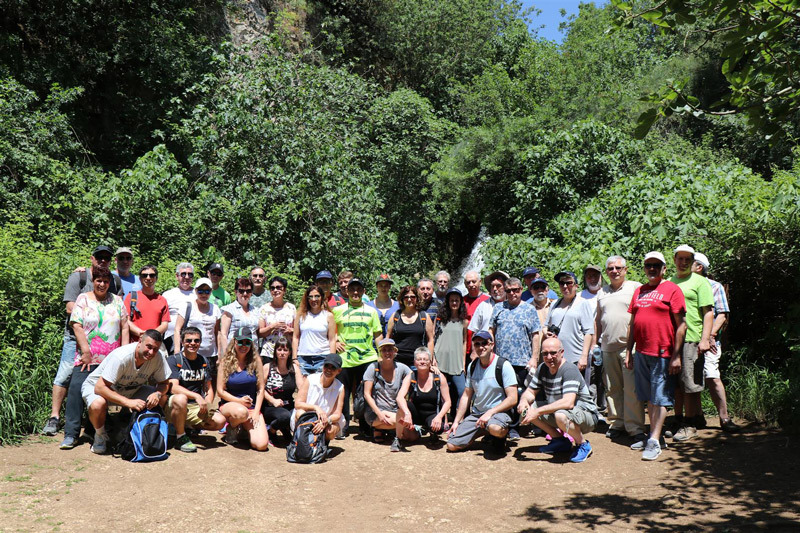 Meitav-tec’s employees have enjoyed a lovely corporate fun day at the The Jezreel Valley near the Mount Gilboa of North of Israel. It included driving in green cars between the natural springs, than Kayaks rafting, Team building games, and peaceful barbeque on the bank of river Asi. We came back tired but happy. 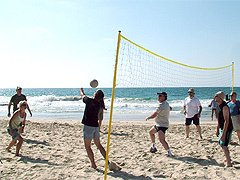 Meitav-tec’s employees have enjoyed a marvelous corporate fun day at the beach. This delightful day included party games, dancing, volleyball and a barbecue dinner. 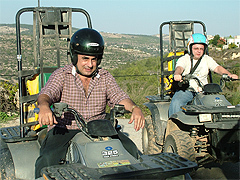 In November 2008, Meitav-tec’s employees had a fun day in Jerusalem mountains to mark a successful year in overseas and local sales. We started the day with a breakfast at a restaurant in the middle of Eshta’ol forest on the outskirts of Jerusalem. This was followed by a visit at the special ‘Dripstone Cave’. We were then provided with rangers, terrain vehicles, and off we went into the forests for the next two hours. In the evening, we had a tour at ‘Mini Israel’ miniature city where we could see models of historical, religious and modern sites in Israel. A special dinner was served at the Bet Govrin caves. In mid Summer 2007 we had a wonderful trip to the north of Israel. Last but not the least, was the dinner at Bat Ya’ar Steak House in Amuka . We had a wonderful, rich dinner with country music in the background.